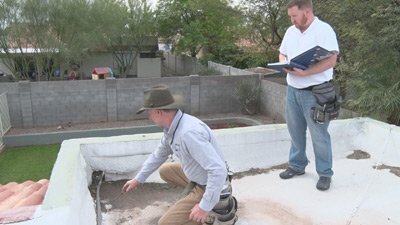 Why Train With Us For AZ Home Inspector Training? 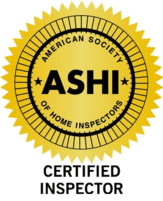 AZ Property Inspections has always supported individuals wanting to become	Arizona certified home inspectors. In accordance with the Arizona Board	of Technical Review (BTR), we provide comprehensive instruction throughout	the 30 parallel inspections required by the state. During the parallels,	students will be carefully instructed in the proper way to perform a home	inspection in addition to the intricacies of the required reporting. Inspector	Candidates will have the chance to learn all facets of what it’s really	like to be a detailed and profitable certified home inspector. All instruction	is custom designed to the individual’s ability to help learn at	their own pace. Students are encouraged to participate throughout the actual home inspections	for a realistic and practical learning experience. While accompanying	the instructor, students will fill out supplied reports touching on areas	such as roofs, structures, foundations, electrical, plumbing and HVAC	just to name a few. All students are given the opportunity to help with	the inspection while accessing all areas of the homes in order to become	a competent and well-rounded home inspector. AZ Property Inspections has been providing parallel inspections since	they were first required by the state and takes pride in helping individuals	reach their goals of becoming a state certified inspector. 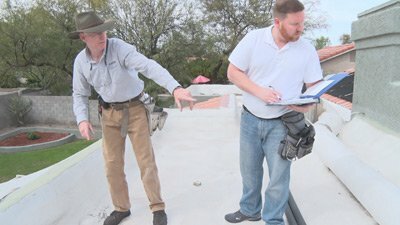 With more than	20 years in the home inspection business and having performed more than	20,000 home inspections in Arizona, inspector candidates will be learning	from one of the most thorough and professional inspectors in the business. OUR PARALLEL INSPECTION PRICES ARE NOT EXPENSIVE Our goal is to help you	reach your goal without hurting your wallet. Call today for training rates	and for more information about our parallel program. Do You Want To Be A Home Inspector? Train With The Best!